Yes, what happened a few hours ago? Right, 2013 arrived! And that means that I would like to look back at 2012 and a couple of its (academic) highlights. 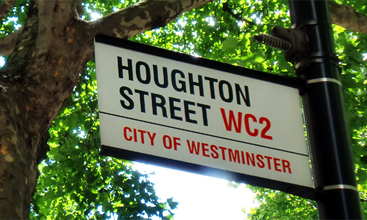 I started this blog back in October 2011 as a recent London School of Economics and Political Science (LSE) graduate. Well, I am happy that shortly after that I was accepted by Prof. Florian Grotz, my supervisor, as his PhD student. In February 2012, I could finally officially enrol at Leuphana University Lüneburg. 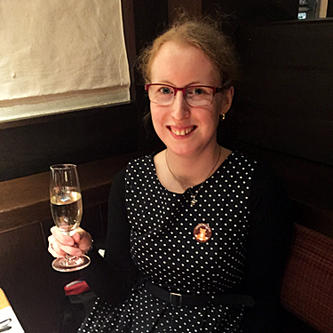 And going from there, not even a year has gone by, but so many good things happened to me – who knew that being a PhD student was so exciting? Well, of course there were challenges and obstacles to overcome, but I am glad to say that I managed to do that. My life now is so different from being an undergrad or a Master’s student – I am now (almost) all grown up in the academic world. That poses challenged but is also fun, so I hope that this continues just like that in 2013. Back in March 2012, I attended a conference on online research – the General Online Research Conference (short: GOR). While being there, I took part in the “Thesis Competition”, a competition for master’s as well as doctoral dissertations. After a pre-selection, six contestants were chosen to present their work at the conference, and I was among them – wow! So I presented my master’s dissertation, not only for the sake of taking part in this competition, but also to get a feel whether my PhD topic – which is closely related to my master’s dissertation – was of interest to others. And well, I got my answer – since I won, I guess my PhD topic wasn’t that boring after all! That was a big thing for me, and looking at the photographs from the award presentation, which feature me grinning like a Cheshire cat, makes me more than just happy. I did my master’s degree at the LSE, and I missed this university quite a bit after I graduated. For me, studying at the LSE was an extraordinary experience – all my favourite topics (Europe, of course) as well as exciting people in one place. I was very lucky that I got the opportunity to go back as a PhD student. While being there, I could (and still can) work with my then academic adviser and now supervisor Prof. Simon Hix – and I am back in London! Here, I learn about methods and attended workshops on a plethora of issues concerning academica and the life of a PhD student – all of which I will take back with me to Lüneburg in April 2013. 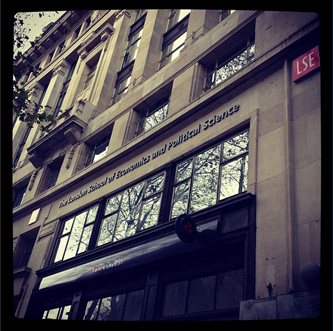 There are three months left at the LSE for me and I will fly back in a few days – 2013 starts in a great way! Of course, this is not an exhaustive list of all my highlights last year. Many things happened, and I am grateful for every single one of them. Also, I am grateful for you, my readers – it’s good to know that this website does not go unnoticed. As for this very new year, there are already lots of things planned – also in the academic sense. So, stay tuned! With that, I wish everyone a Happy New Year and a great 2013!